Beaming a cheery aura with their bright yellow hue, they are one of the first blooms of spring. And they are front and centre of a major campaign when April arrives. 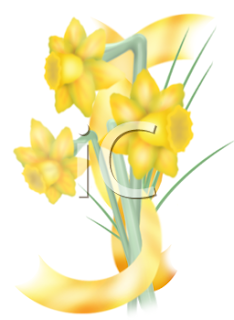 Tomorrow is the beginning of the Canadian Cancer Society's daffodil month. Like a ray of sunshine, these flowers are the symbol of hope and awareness in the fight against a terrifying disease, a symbol of strength and valour for those living with cancer. Purchases of bouquets of vibrant blooms assist sufferers and support research and promotion. Or buying one of the sunny pins is a simple act with the power to make a difference. So deeply entrenched is this vivacious bloom in the fight against cancer that even its presence in neighbourhood gardens raises awareness. I know that I can't walk past a flowerbed glowing with these sunny flowers and not, at least in passing, make the connection to the struggle facing so many people, and of the continuing fight to defeat this vile disease.